• We listen. It’s a small and simple thing but so often overlooked. • We ask questions. A good question clarifies things for us. A great question clarifies things for you as well. • We are proactive. We act to advance your interests, not just to do as we’re told. • We use the latest technology. We believe in acting like we’re living in the 21st Century. We believe that life is an adventure, a journey to be experienced and savoured. We see our role at Hall Consulting Group as challenging and supporting our clients to achieve the financial success they need to pursue their grandest dreams. To succeed in this aim we believe we have to start with caring. We want and value long-lasting and deep relationships with our clients not just because it feels good, but also because these are prerequisites to genuinely insightful business advice. We don’t believe that anything, even accounting, can be reduced to just numbers. The Chatswood RSL is a significant contributor to the local community. Based in the heart of Chatswood the Chatswood RSL has over 15,000 members and is the premier dining and entertainment destination in the suburb. Involved since 2016, the Chatswood RSL has generously funded a number of our club’s initiatives over the last 3 years including our Professional Coaches Program. This program involves a professional coach on hand each week at training to work on skills development with our players. In addition the professional coaches run clinics throughout the year to develop the skills and coaching abilities of our own club coaches. All Rosie Promotions supplies the largest range of promotional products, clothing, incentive items, POS and packaging solutions. They pride themselves on the lowest prices, extremely quick delivery times, and the peace of mind that we will find a solution to your promotional needs – from start to finish. Each client gets a tailored and innovative promotional solution – not just the same product with a different logo. As a club we love all the great promotional gear that goes into our Supporters Packs. The Willoughby Hotel are our longest running sponsors and are a favourite destination for families in the Chatswood and Willoughby areas. The iconic hotel has an award-winning bistro and you’re sure to meet many from the Chatswood Junior Rugby Club community whenever you drop by. The hotel is our venue of choice for club social events such as our Gala Night, Season Kick-off and individual team and age group events. If you’re looking for delicious food and a fabulous atmosphere you can’t go wrong with the Willoughby hotel. Tony grew up in Chatswood and now lives in the area with his family. When it comes to real estate in the Chatswood, Willoughby and Artarmon areas he knows what families search for when buying and selling. He has an outstanding sales record in those suburbs and his impressive customer references reflect the six star service you can expect if he represents you. We love the support Tony gives our club and recommend him for all your real estate needs. The principals of the firm are Lyndon Burke and Kylie Granger, both of whom are Chatswood Junior Rugby parents. Lyndon has over 20 years of experience in Employment & Industrial Law, Commercial Law, Family Law and Corporate compliance. He has experience in jurisdictions across Australia, New Zealand and South East Asia. He holds a Master of Laws and practices in Federal and State Courts and Tribunals. Kylie Granger is an experienced and accomplished lawyer with an in depth knowledge and understanding of Family Law, Wills and Estates and Trusts. Kylie’s academic background includes training in counselling which enables her to successfully assist the clients of our firm with patience and empathy. The Sails Guy is Mark Frederikson, Chatswood Junior Rugby’s President. Mark is a results focused sales leader who advises businesses on sales strategy, revenue improvement strategy, sales and marketing organisation structures and recruitment of sales and marketing specialists. The Sails Guy typically works with mid-sized to large enterprises and his client base includes some of Australia’s largest and most complicated organisations. The Sails Guy is a play on words as it connects Mark’s love and background in sailing and the open seas with his expertise and significant body of experience and proven results in the sales arena. Move Strong and Move Free with The Sports Physio Clinic. Especially interesting to the mothers at our club is their focus on women’s health including specialised classes for mums and expectant mums. Their general services cover Podiatry, Craniosacral & Visceral Therapy, Dry Needling, Casts & Backslabs, Slings, Custom Made Splints, MET: Muscle Energy Techniques, Core Therapy, Hyrotherapy and Massage. Been in a vehicle accident that wasn’t your fault? If so you’re entitled to a free replacement car from the other driver’s insurance company. It doesn’t matter if your own insurance policy has the replacement vehicle option or not. 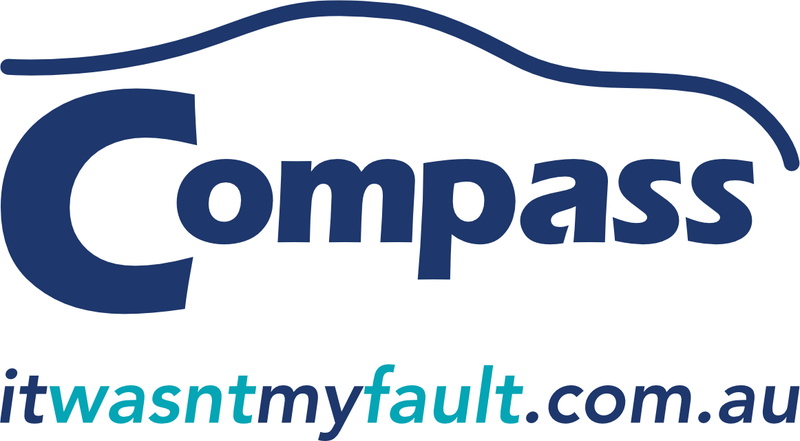 Contact Compass Cars to arrange your replacement vehicle. They will take care of all the paperwork and will deal directly with the other driver’s insurance company. So all you need to do is pick up your replacement car from Compass which you can use the whole time your car is off the road. The replacement vehicle will be the same type as your car or of equivalent standard. Tutor Doctor is a leading International Home Tutoring organisation that provides highly personalised and comprehensive 1-1 education. With over a decade of experience in private home tutoring Tutor Doctor has a good understanding of what works. They have an encompassing approach to learning by creating a team for success – student, tutor, parents, school – managed by Tutor Doctor. Tutor Doctor’s reputation is that they develop students who are confident and proud of their achievements, excited about their future. Hyslop & James Travel Associates is a boutique style travel agency service based in Crows Nest in Sydney. It is part of the national Travel Associates brand. Hyslop & James Travel Associates caters to the frequent and more discerning traveller in search of new experiences or the ultimate in luxury holidays. They offer exclusive packages, escorted and special interest tours, luxury cruises and holidays with a difference. Hyslop & James Travel Associates are supportive of the Chatswood Junior Rugby Club and have been integral in the success of the club’s interstate and international junior rugby tours over the last few years. Plus Software Solutions empower small to mid-sized enterprises through software solutions that extend the functionality of their existing accounting and payroll platforms. Plus Software Solutions recognised gaps in the various software platforms from vendors such as SAP, MYOB and Sage and have created numerous “addons” to plug those gaps. The types of solutions available include: Corporate Reporting, Cashflow Forecasting and Management, Time and Effort Capture; e.g. Timesheeting, Warehouse Management, Inventory Replenishment and Stock Re-ordering. Trytime Rugby are an important sponsor and supporter of the Chatswood Junior Rugby Club. They provide professional coaching services to the club and are present at training each week. Their primary responsibility with the club is to improve the coaching skills of our volunteer team coaches. They do this through innovative coaching education programs, hands-on assistance with coaching drills, whiteboard and video sessions and unbiased player feedback. Trytime Rugby have numerous other rugby related services, including: Holiday Sports Camps for U6 to U14 year olds, Rugby Recruitment for Professional Teams and Rugby related Consultancy. Looking for exposure for your business?